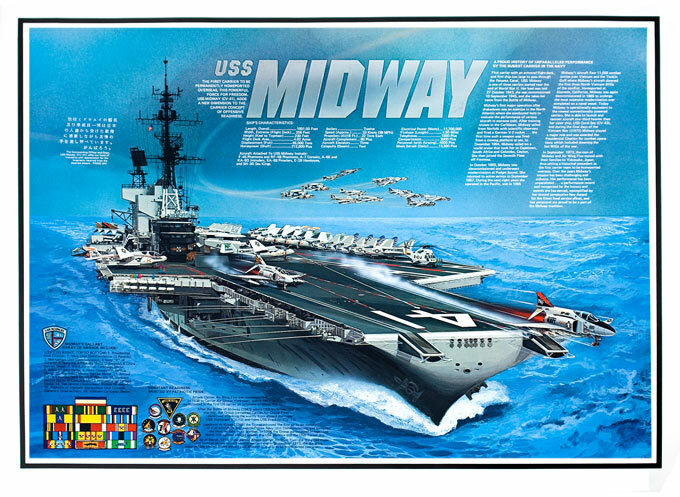 This striking lithograph is among the finest depiction of the USS Midway ever created. It is a stunning and detailed portrait that looks great in a frame on the wall. 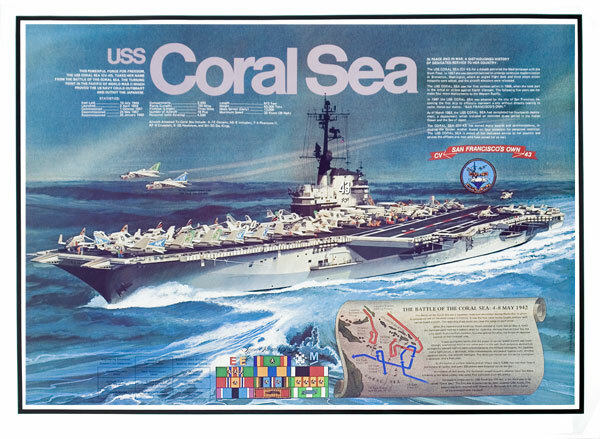 The print measures 24" wide by 18" tall. 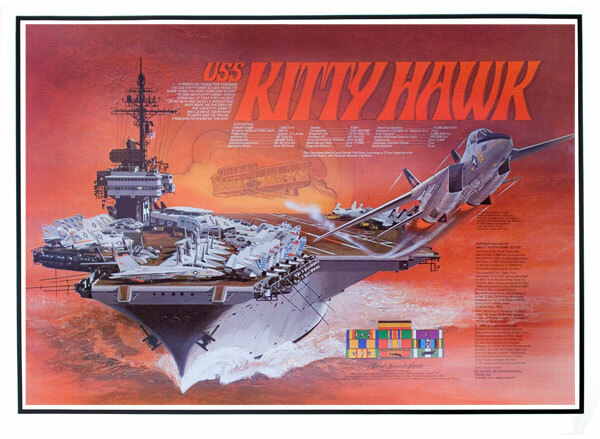 This striking lithograph is among the finest depiction of the USS Kitty Hawk ever created. It is a stunning and detailed portrait that looks great in a frame on the wall. 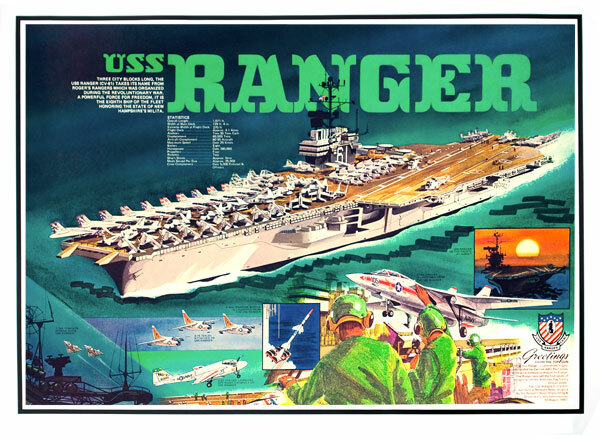 The print measures 24" wide by 18" tall. 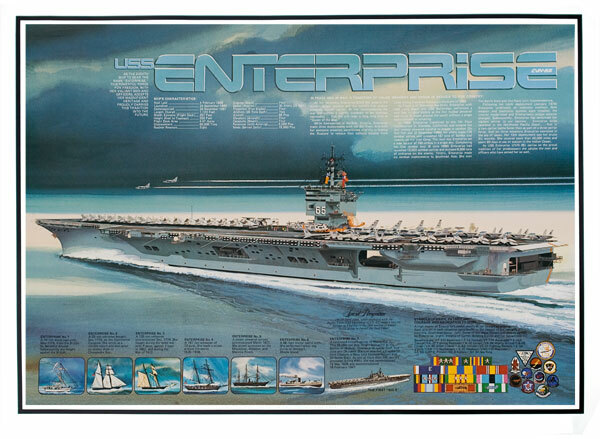 This striking lithograph is among the finest depiction of the USS Enterprise ever created. It is a stunning and detailed portrait that looks great in a frame on the wall. 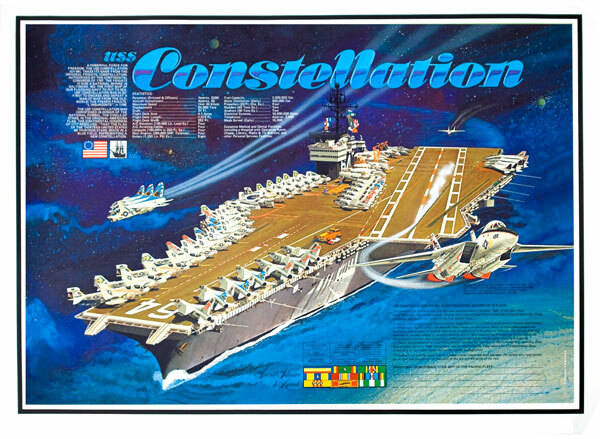 The print measures 24" wide by 18" tall. 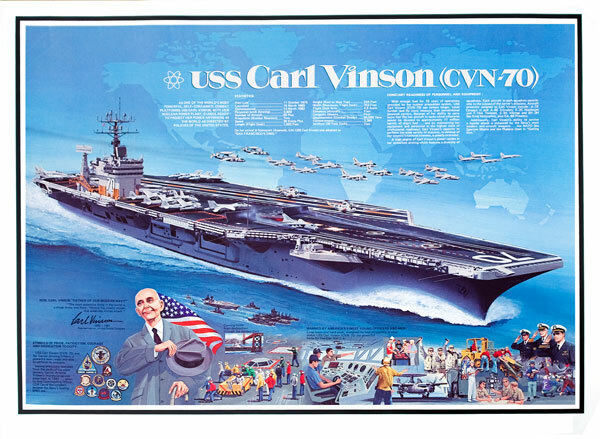 This striking lithograph is among the finest depiction of the nuclear-powered USS Carl Vinson ever created. It is a stunning and detailed portrait that looks great in a frame on the wall. 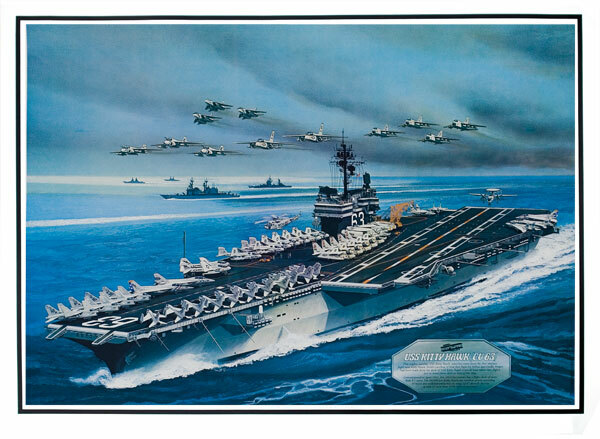 The print measures 24" wide by 18" tall. 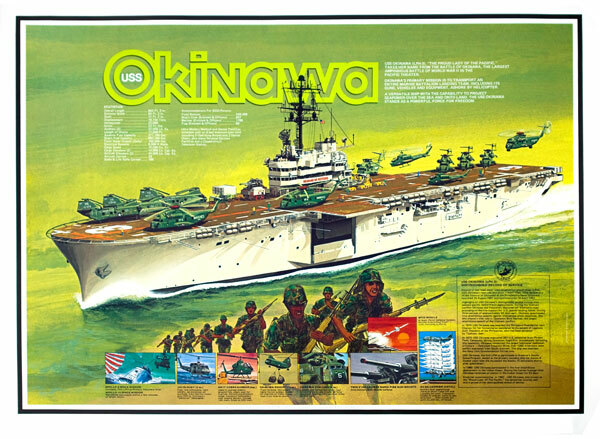 This striking lithograph is among the finest depiction of the USS Okinawa ever created. It is a stunning and detailed portrait that looks great in a frame on the wall. The print measures 24" wide by 18" tall. 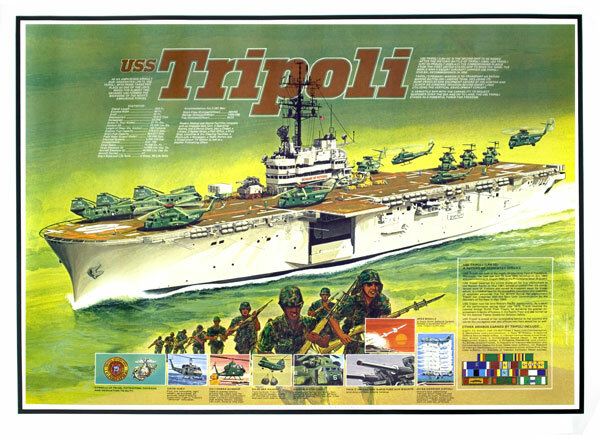 This striking lithograph is among the finest depiction of USS Tripoli ever created. It is a stunning and detailed portrait that looks great in a frame on the wall. The print measures 24" wide by 18" tall.